Beijing: Huawei Technologies Co.’s consumer chief has dismissed US “political forces” and attempts to crimp the company’s growth, saying sales of smartphones and other devices surged by about 50 per cent to a record $52 billion in 2018. Consumer division president Richard Yu called reports of Huawei spying for China “fake news” and said its product launch schedule for 2019 remains on track. The executive, speaking to reporters after helping unveil two in-house developed chipsets for fifth-generation wireless gear, waved off concerns the equipment could be employed in espionage. Huawei faces mounting scrutiny as Washington convinces a growing list of allies to blacklist its networking equipment. Billionaire founder Ren Zhengfei broke years of public silence last week to dismiss US accusations the closely held telecoms giant helps Beijing spy on Western governments. It’s unclear whether that pressure has affected business. Ren said the company’s 2019 revenue is expected to top $125 billion, while Yu said smartphone shipments rose 35 per cent to 206 million units in 2018. He expects “Internet of Things” devices and 5G to drive sales this year and propel Huawei’s goal of becoming the world’s No. 1 smartphone maker after surpassing Apple Inc last year. Huawei is angling for the lead in 5G, the technology that powers everything from self-driving cars to smart cities. On Thursday, it unveiled a self-developed chip for 5G base stations as well as a modem chip for devices. The company said it’s now shipped over 25,000 of its 5G base stations worldwide. Ryan Ding, chief executive of the carrier business, said 18 out of Huawei’s 30 contracts so far have come from Europe. 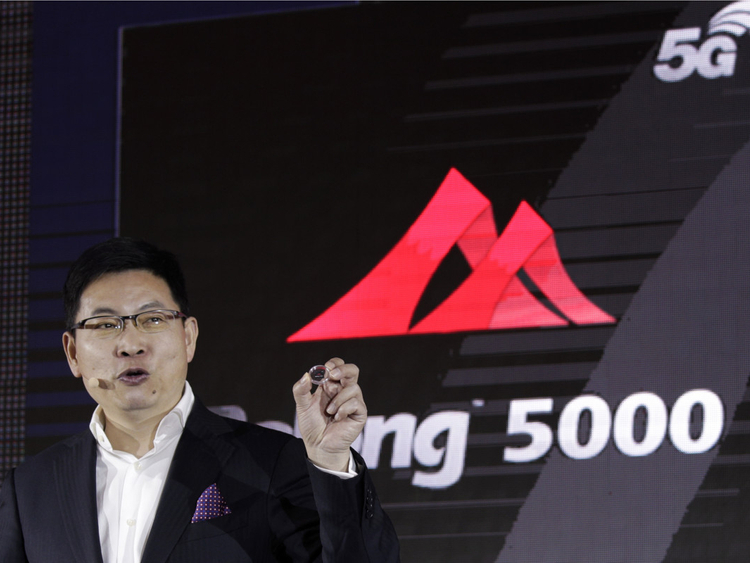 It intends to show off its first 5G-capable smartphone with a folding screen during the Mobile World Congress next month, though Richard Yu, Huawei’s head of consumer operations, stressed that — at more than 1,000 euros ($1,135) — it won’t be for the masses. “Our products don’t have any ideology,” he said.